Hi I'm Ganesh Venkat. I'm a 39 year old IT Architect from Orlando. 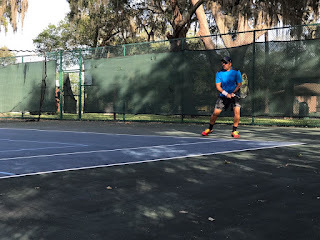 Since moving to Orlando in 2015, I was looking for a competitive league and was glad to find Tennis League Network and the Tennis-Orlando.com chapter and have been a regular in the league winning my first championship in the summer of 2017 and striving to go from a "Competitive 3.5" to "Advanced 4.0" and right now I’m somewhere in between :) From earlier this year, I have become a little over obsessed with Tennis and enjoy hitting with a few regulars here and I can say my game has got better and I’m always looking at opportunities to improve my game. Through a guy called Chad Smith who I used to hit regularly when i moved here and then a group of friends who actually enrolled in the league and are still playing. The flexibility and the flavor of opponents that the league provides. There is no schedule enforcement unlike many other leagues that I have played. You can never relax that you have beaten a guy, The next match can bring you down. The second match was beating Ken Wilkins in a three setter after going down in the first. 2-6; 6-3; 6-3. Ken is one of the toughest competitors in the league and I had beaten him a few times in another league before he had transformed himself in to an effective counter-puncher. This match gave me so much satisfaction that I was able to beat him in his own game. Hands down Gowtham Ponnusamy and Naveen Marimuthu. 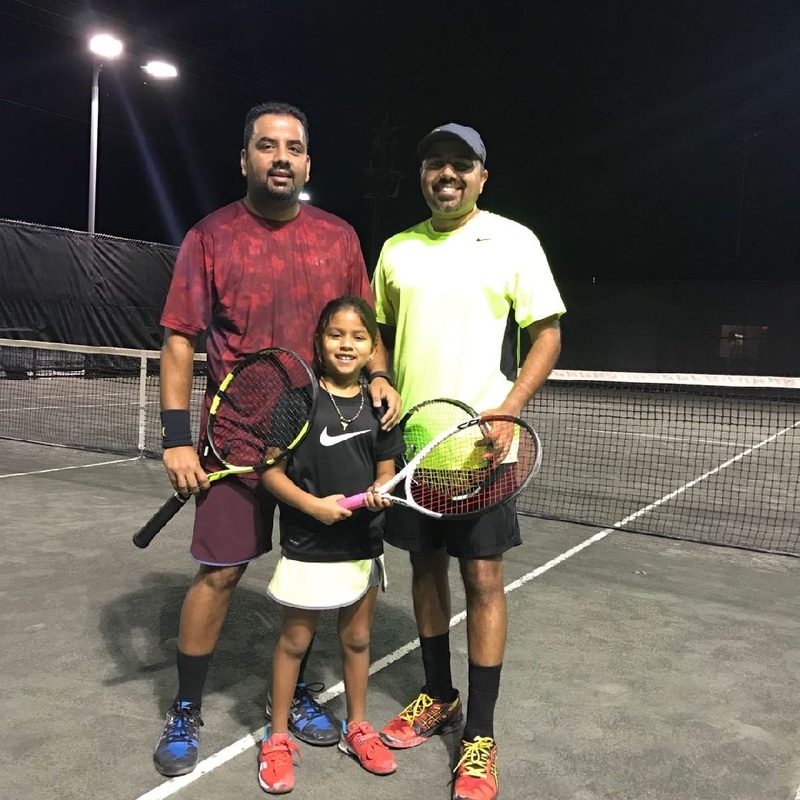 Both of them are friends of mine and Improved their game tremendously from where they started, we hit quiet often since we live close and we know our pattern plays very well, So it's always a good feeling to get the better of them, even if it means just for the bragging rights. Playing the league organizer Steve was fun. It was so nice of him to take time off from his schedule and play with the local players. The other thing is, The variety of players you meet from all walks of life. I'm looking forward to the year end Miami tournament.. 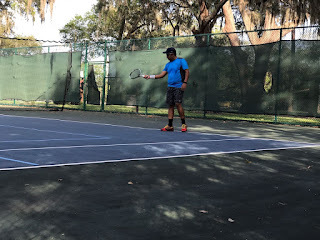 I played some recreational tennis from 2001-2003 when I was in grade school at Edwardsville, IL. 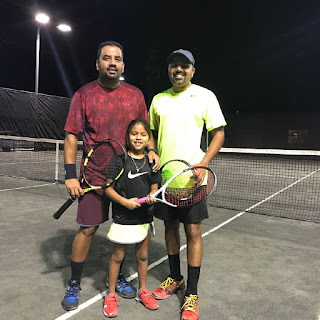 In all seriousness though my friend Karthik Kannan from St.Louis motivated me to pick up the racquet again and we started hitting again in the 2011-2012 time frame and ever since I have not stopped. 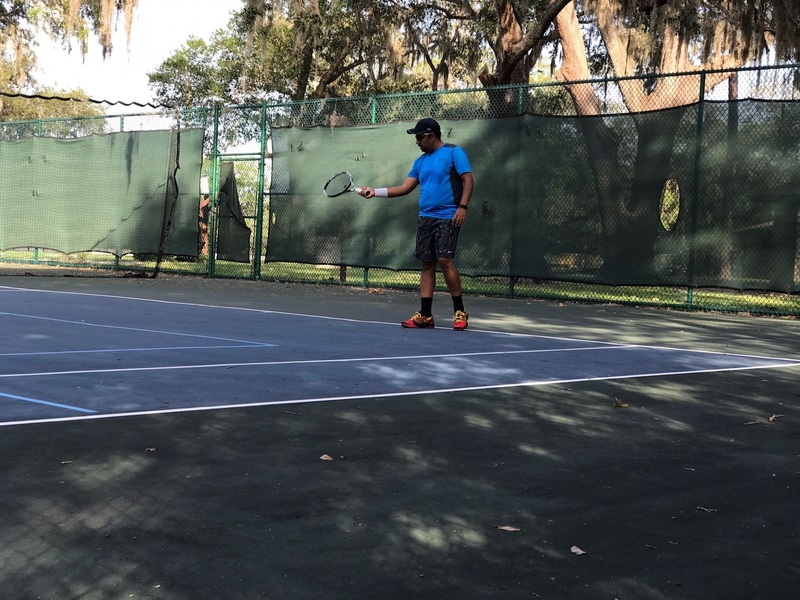 Even now we take occasional tennis vacations to meet up and hit in Florida or Illinois. In fact, he has a vacation planned in December to travel down here and we hope to play a few times. I think it’s a sport that I can still play when I grow old. That’s something I really love about Tennis. Andre Agassi and Rafael Nadal. Just for their flamboyant style.